Do you want to be the next Daniel Radcliffe or Emma Watson? Then Pint-Sized Players is for you! 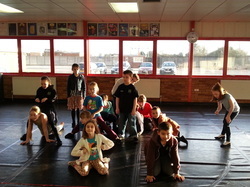 Enjoy projects specially created for younger actors, learning new skills and having great fun. Whether you are happy being centre stage or wish to develop confidence in a safe and friendly environment, come and join us and work towards fantastic plays! Payable weekly, first session FREE. Please make sure you have soft-soled shoes to wear at the studio (e.g. plimsolls or jazz shoes) that are never worn outside. One of Shakespeare's best-loved and most well-known plays gets the Act II treatment!